Booksoarus caught up with the sprightly Shoba and chatted with her about her columns her memoir, “Return to India” and her writer-ly life. Booksoarus: Your columns in Mint Lounge are delightful. You have everything in there from the Constitution to Cows! Where do you get the ideas from? How do those culminate into a column? Tell us a little about the writing process. I maintain a journal full of tidbits of what I see and observe. This discipline forces me to pay attention to what I see. I use my phone, take notes, take pictures, record interesting sights and also write in my journal. I am not self-critical at that time thinking this is a diary anyway. From these I get my ideas for my columns and at that point I can critically examine my writing. 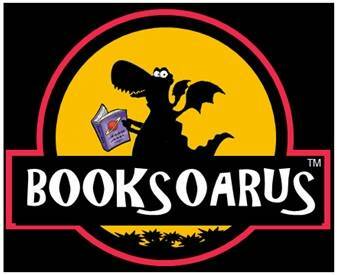 Booksoarus: Apart from the ideas themselves, as a weekly columnist what sort of writer-ly challenges do you face? You’ve been writing for so long with deadlines looming in the background. Do deadlines hamper the creative process at all? SN: The toughest part is to come up with ideas. My grouse with my current column is that it could be much more topical. Columns are timeless. With the Mint column, I have a lot of flexibility. I can choose whatever I want to write about and no editing happens beyond fact checking. The challenge is to continuously self-examine and reinvent yourself and that can be contradictory, contradictory because you have a certain style, a certain signature that readers come to expect and you can’t change that completely. On the other hand you cannot be boring. I enjoy David Sedaris’ style (American humourist, comedian and author) and I try and incorporate little tips and tricks from his writing. Booksoarus: It is often said that writing a memoir is a confrontational experience. Did you uncover some uncomfortable truths about your decision to return to India? In particular, you talk about “lacking courage to return to its chaotic systems.” Yet here you are! How much introspection did you have to deal with? Tell us bit about the highs and lows of penning this memoir. SN: The way I did it was that I got my parents and in-laws to read the manuscript before I submitted it to my editors. My father and father-in-law read the book first and they were entirely comfortable with my writing. My husband is very supportive. He knows I write this way and he is never threatened by any of these recollections. So all “uncomfortable truths” were sorted out much before the book went into print. My kids, they don’t read my books. This book took a long time to write – ten years! I started writing this is in New York. There were multiple drafts of this book and my editors there felt it was too niche, too Indian. When Rupa wrote to me asking me to write a book – any book – I suggested this one. This memoir was written with a lot of josh and it helped that my editor was nudging me along. Booksoarus: Tell us a little about how life has changed after the “Return to India” – the book and your life. How was the book received? How do you deal with criticism? SN: Life is great! This is a niche book. I have got both the good and bad reactions. I have a fairly loyal set of readers who read my blog. They have a lot of nice things to say. There are NRIs who have told me that the book and the dilemmas presented really helped them make a decision to return to India and that sort of reaction makes me happy. However, there are people who have also told me the topic does not warrant a book as it does not apply to most of India. Dealing with criticism is hard and there are people who do not read any feedback about their work. I don’t do that. I read all the comments on my blog and reply to every one of them religiously. Booksoarus: How has it been coping with the “chaotic systems” that make India (lovingly) India. In your book you talk about hyphenated-identities. Have you shed the hyphenated identity? How does it feel? Booksoarus: Your other book “Monsoon Diary: A Memoir with Recipes” was another memoir and included a collection of Indian recipes for the American public. How was it received by a non-Indian audience? Any insights or experiences that you want to share? SN: My various aunts and mamis were extremely generous in sharing these recipes. I shared a collection of hand-written recipes with my editor. At that time, they weren’t in a cookbook ready format. The precision of measurements wasn’t there initially. The recipes were handed over to Gourmet’s test kitchen. The test kitchen typically follows the recipe to precision and then the food emerges. They have to be incredibly precise. So we worked a lot on getting the precision correct. The memoir was written for the American public and it was very well received. It was finalist for the James Beard award for food writing. Booksoarus: What does a typical writer-ly day look like for you? How do you juggle the many roles you essay – columnist, author, freelance writer? SN: I write everyday between 9 and 4. Some days are more productive than others. Some other days there are a range of activities I enjoy attending – festivals and concerts and evenings with friends. I write when I get the time. The discipline of writing a weekly column helps too. Booksoarus: What sort of advice would you give aspiring writers who want to make a career out of writing? SN: Nobody starts as a columnist from day one. I would say it is important to focus on and find a specialization. A niche. There are experts in maths and science and business. I write about arts, people and relationships, food and wine. Health writing is fairly large. It is important to find your niche. Humor writing especially is great and writing infused with humor is appreciated by all. New writers should write a blog and it is important to write consistently and within a chosen specialization. Shoba Narayan writes about food, travel, fashion, art and culture for many publications. They include Condé Nast Traveler, The National, Financial Times, Destinasian, Gourmet, Time, Silk Road, and others. She writes a weekly column for Mint Lounge, and Indian business daily which is affiliated with the Wall Street Journal. She also writes a column for The National, based in Abu Dhabi. She is an alumnus of Mount Holyoke College and Women’s Christian College. 1. What is the bulliest genre IN fiction? 2. Which traditional publisher is the best for a 10th grade/15-year old writer (i am 15)? 3. And, how long does a publisher take to respond? myself is Shepherd Nilabh. I am finding a publisher who can publish debut novel. I want to know about those publications in India ,which are multinational. tell me tips for searching publication.